Moutahed beat Beirut Club to force the decisive fifth game in the series. Worth to mention a great performance of American power forward Brandon Mobley (206-91, college: Seton Hall) who helped to win the game recording a double-double by scoring 10 points and 11 rebounds. 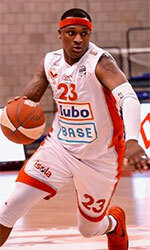 Guard Jimmy Salem (190-95) contributed with 8 points, 6 rebounds and 4 assists for the winners. 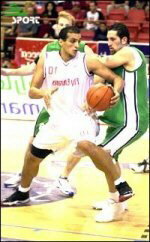 American guard Chris Crawford (193-92, college: Memphis) replied with a double-double by scoring 24 points, 11 rebounds and 5 assists and Georgian power forward Nikoloz Tskitishvili (213-83, agency: Interperformances) added 12 points and 13 rebounds in the effort for Beirut Club.